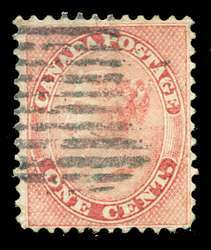 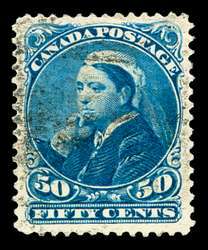 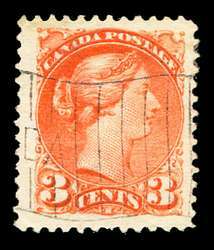 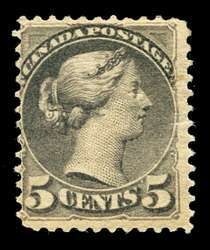 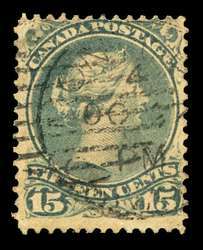 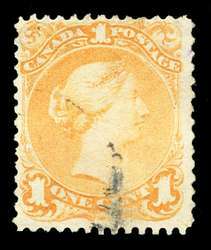 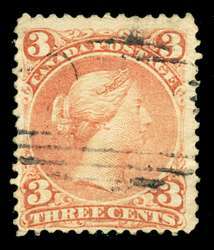 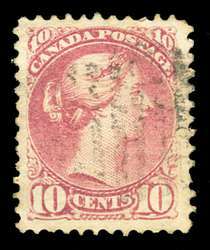 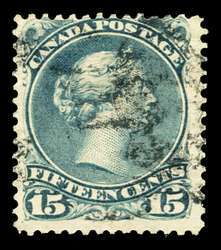 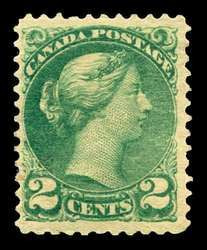 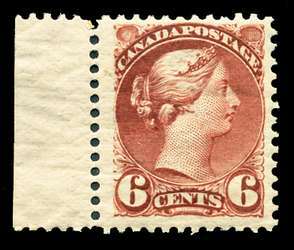 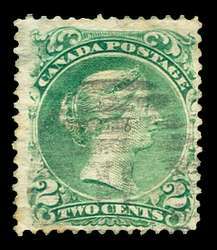 Scott #41, 1888 3c bright vermilion Small Queen. 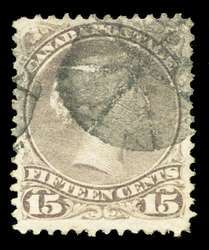 Used VF/XF. 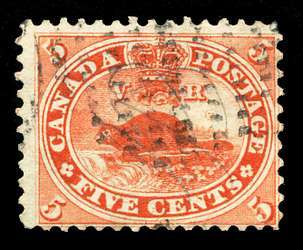 Jumbo margins. 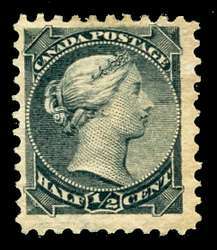 Lovely light waving-flag cancel. 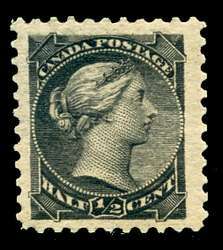 One shorter perf at bottom but still a spectacular eye-stopping example.